Mayor Pushpalatha Jagannath, performing guddali puja to launch roads and park development works taken up at a total cost of Rs. 65 lakh at MCC Ward No. 27 in city this morning as MCC Commissioner K.H. 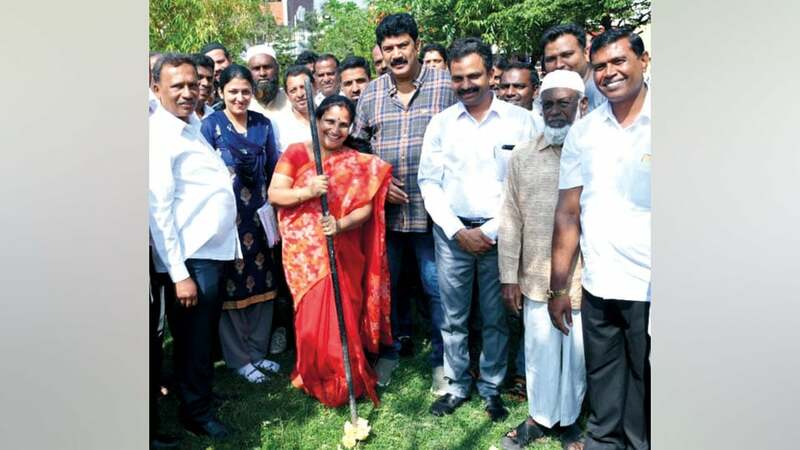 Jagadeesha, JD(S) leader Abdul Azeez (Abdulla), Ward Corporator Mohammed Rafiq, MCC officials and residents look on.